Not too long ago Ayia Napa was a small sleepy fishing village with a small harbour, a couple of tavernas and quiet long sandy beaches. 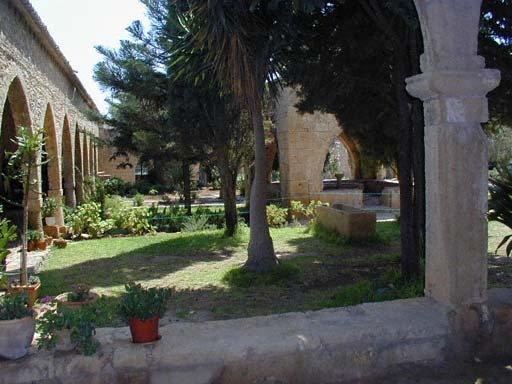 Nearby Famagusta was the hotspot of the coastal region with its big hotels and resort mentality. Ayia Napa was fishermen and farmers, the famous Cyprus potato comes from this region, but soon after the invasion and subsequent pumping in of aid the farmers discovered that their coastal land was far more valuable to develop than to farm and so not so slowly hotels and tourist villages began to spring up in the area until Ayia Napa started to get an international reputation for being a clubbing paradise. The boom of tourism has transfigured it in a relatively short space of time into a throbbing night-spot and fashionable beach playground. The waters on this side of Cyprus are superior in colour, which is that lovely turquoise blue and the sand especially on Nissi beach is golden and clean. The fast food outlets and tourist shops invested in Ayia Napa, more clubbing happened, spawning more clubs which sprang up like the local potatoes, DJ's started to visit the resort and soon it was heaving. This of course made more and more farmers give up their land to the developers in exchange for a piece of the action and now only twenty years later Ayia Napa has almost met up with the neighbouring villages on both sides. 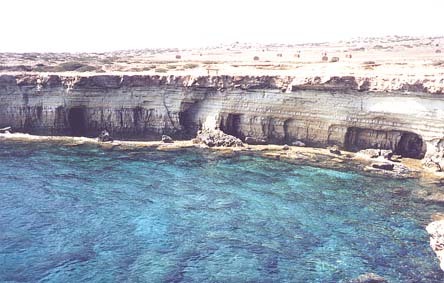 Protaras to the north and Ayia Thekla/ Potamos to the south. The attractions, villas, restaurants and hotel complexes sprawl along the coast and a new highway has been built to connect to the airport in Larnaca with easy access to the capital Nicosia. Nearby at Dherinia there is a lookout point where you can see the still deserted part of Famagusta, behind the united nations lines, clearly marked by the cessation of residential areas where the fields get to grow their traditional crops in peace. It seems to be particularly appealing to young people, who are catered for quite handsomely, from lunar parks and water parks for the very young to go carts, bowls and driving ranges for the more mature. The beaches around Ayia Napa and Protaras are famous for the beautiful blue of their water and although they are now overcrowded in some places it is still a lovely spot, especially if you like an active holiday. For those of you who like to partake of the action without being in the thick of it all the time, Protaras, Ayia Thekla or Paralimni are an ideal alternative. In the table below we have listed some of the more traditional sights to be seen, the churches, museums and places of general interest. For a guide to what's on while you are here, including art exhibitions, concerts, folk dancing, cinema program and special tourist events see	Cyprus-art.com which used to be updated every Friday. The mediaeval monastery dedicated to ‘Our Lady of the forests’ stands in the middle of the village surrounded by a high wall. Its 16th Century church is partially underground and cut into the rock. The ancient sycamore tree in front of the south gate is believed to be 600 years old. The more modern aspects of the village include hundreds of bars , restaurants , disco's and places of entertainment. It is a very popular destination. A recent development is the wedding business in Ayia Napa, a lot of young people choose to get married here. Here is a 16th Century church dedicated to the Virgin Mary and the 15th Century church of Ayios Andronikos, with an octagonal dome and murals which can still be distinguished in the apse. Ayios Andronikos wine is very nice indeed. Liopetri still carries on the traditional craft of basket weaving or basket making and the school for the blind in Nicosia is a place where you can still have a seat restrung or your piano tuned. The church, in Paralimni dedicated to the Virgin Mary (Panayia), is decorated with unusual 18th Century porcelain plates. 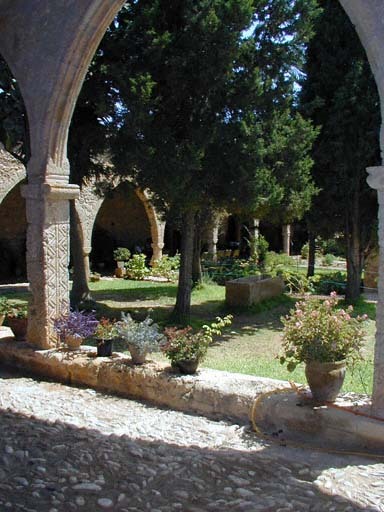 The church, parts of which belong to the 13th Century, houses a small ecclesiastical museum. Other interesting churches are also to be found in the area. Paralimni deserves more of a focus than this little note, as it is not only better for shopping than Ayia Napa, but is becoming a popular residential area. We will get to it soon. A picturesque fishing refuge. Nearby are the remains of a Venetian watch-tower. The French poet Arthur Rimbaud worked in this area in the 1880’s, read him and see if you recognise the nightlife. 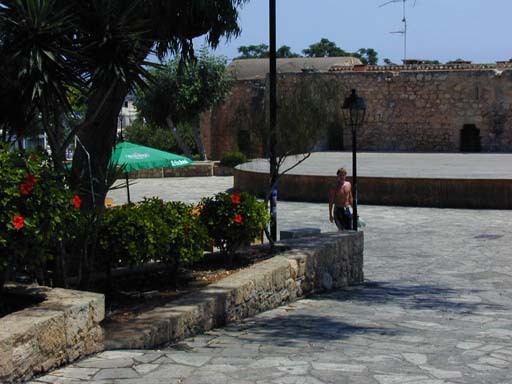 The monastery in the centre of Ayia Napa is just on the edge of the square. It is a tranquil place which reeks of simpler days gone bye and is a great place to relax in the cool shade of the trees and arches. A photo opportunity indeed as you can see in the pictures to the left. At night however it has been known to heave with the young, glistening in the summer with a sea of sweaty bodies, the beer bottles glint in the moonlight and if you don't like noise, crowds or throbbing music, it is a place to avoid. 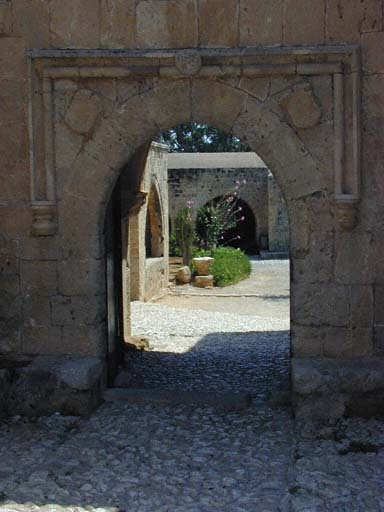 At the east entrance of this village is the partly ruined church of Ayios Mamas which was built around the 12th century and rebuilt in the 16th Century. Most of the existing surviving frescoes date from the 16th Century. About 1,5 km to the west is the 16th Century cruciform church of Panayia Chordakiotissa (mother village music??) and the church of Ayios Georgios, (Saint George) an Early Christian basilica . The village of Dherynia has three interesting churches; there is a small domed 17th Century church named Ayios Georgios, the 15th Century Ayia Marina church, and the church dedicated to the Virgin Mary with its 17th Century icons. From a vantage lookout point above the village one may look upon the ‘ghost city’ of Famagusta, still under occupation by the Turkish forces. Once the most popular holiday resort in Cyprus, now with trees growing in the streets. 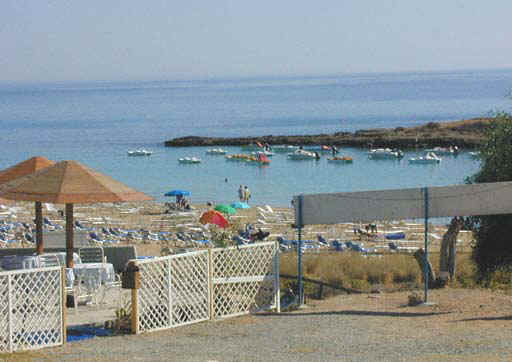 Protaras is the up market version of Ayia Napa. Nice beaches and interesting coves, that in itself is healthy entertainment for the children, nice hotels, lots of villas and plenty of nightlife but not till 5am. The evening winds down by 2am here. Cyprus wedding while you are here?